The American Cancer Society estimates that about 53,000 Americans will get oral or throat cancer this year. Fortunately, our Kalamazoo, MI dentist offers oral cancer screenings to catch this disease in its early stages. Our oral cancer screening dentist in Kalamazoo, MI know that your chance of survival increases the earlier we’re able to detect oral and throat cancer. This is why we highly recommend our patients receive their oral cancer screening at least once a year. Oral cancer is easier and less invasive to treat during its early stages, which is why we emphasize the importance of early detection. An oral cancer screening could save your life. Our dentist offers oral cancer screenings to give you peace of mind and the best chance of survival. 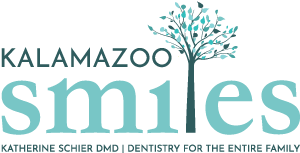 To request an appointment with our oral cancer screening dentist in Kalamazoo, MI, call Kalamazoo Smiles at (269) 353-3700.